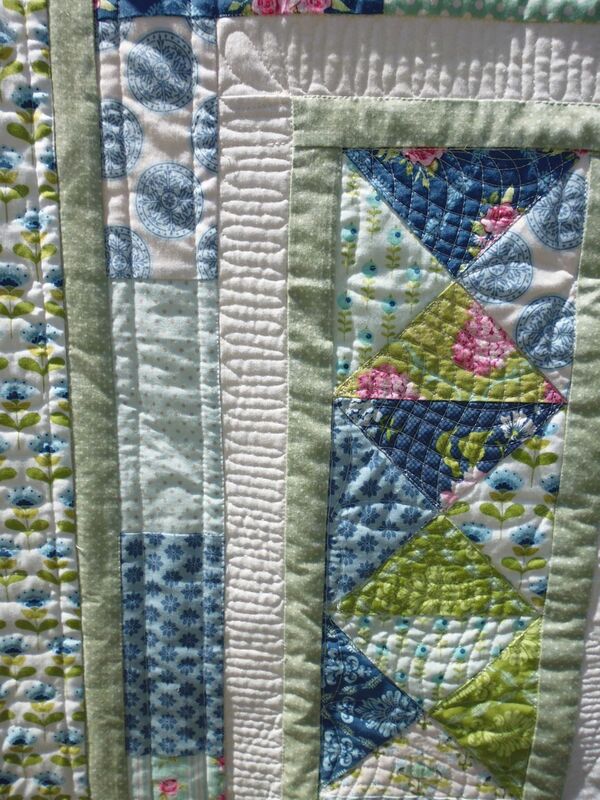 I liked the colours in this quilt — they were very cool and calming. And fresh. 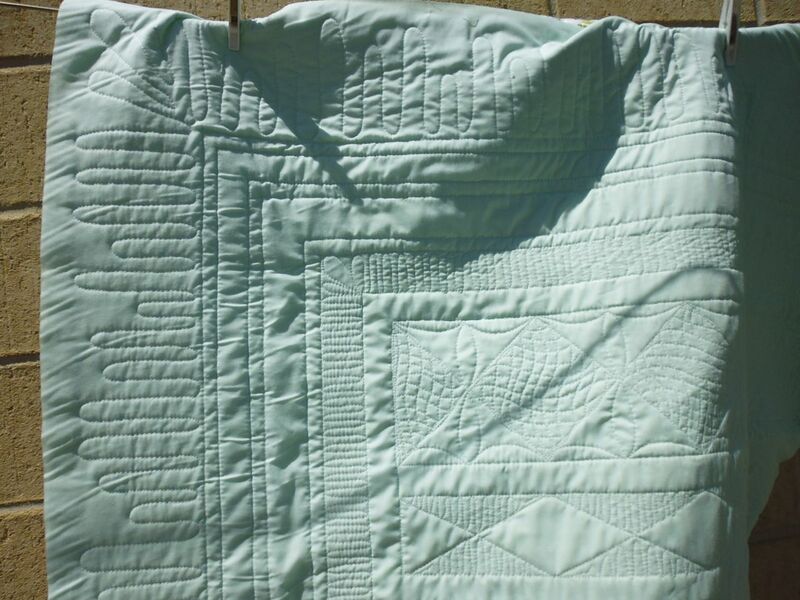 How to quilt it? As usual, I started by stitching in the ditch around the main elements — the white strips in the middle and the borders. Then I tackled the white strips. I emulated the diamonds in the coloured strips stitching straight lines (with my Line Tamer ruler) from point to point (matching the side points of the diamonds in the coloured strips). 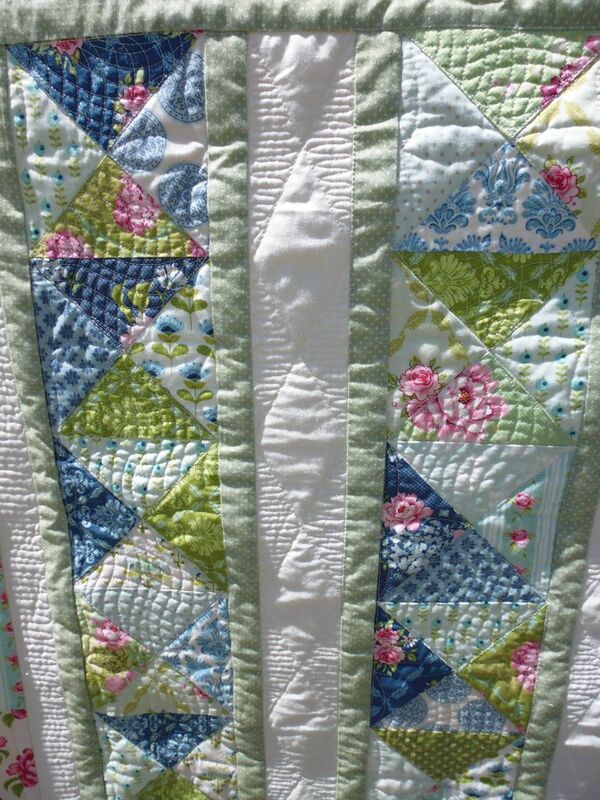 Then I did a tight up and down ribbon stitch in the ‘background’ of these diamonds, causing them to ‘pop’. Next, I did a wavy matrix in each coloured diamond (on-point square) in the coloured strips. But the setting triangles were too puffy, so I stitched a 3-petal flower in those to subdue the puffiness. 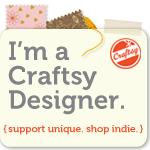 In the white border, I repeated the up and down ribbon motif, and then did a very large version of it in the widest border. 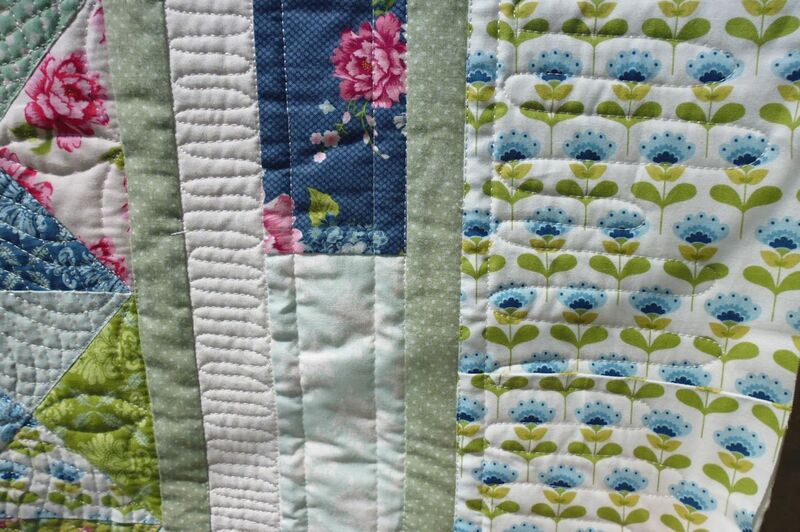 In that border, I didn’t want the outermost points to be even, so I varied their length. In the other borders I either stitched straight lines about a half inch from the seam lines, or left them unstitched (all the spotted green borders).